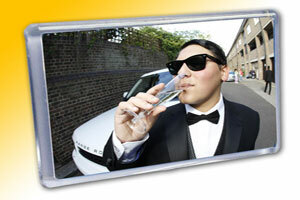 We have a range of fantastic personalised photo gift ideas. 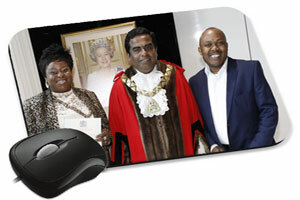 You can choose from mugs, mouse mats, T-shirts, table mats and coaster, candles, Teddy bears, baby bibs and even thongs and even me's boxer shorts. 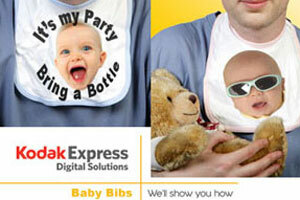 If you are unable to come to our lab there is an excellent mail order service available. 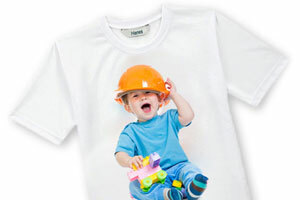 Digital Photo Printing on Mugs :: Your photo, design or company logo on a personalised photo mug. 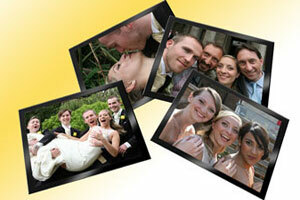 Digital Photo Printing on customised Coasters :: High quality durable break proof glass coasters. 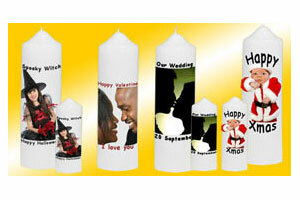 Amazing personalised photo candles in a variety of sizes - ideal as memorial candles, wedding candles etc. 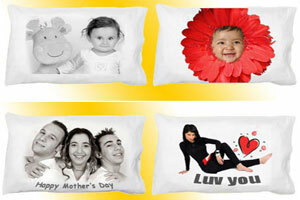 Photos on Pillow Cases :: Snuggle up with a photo of the one you love on a personalised pillow case. 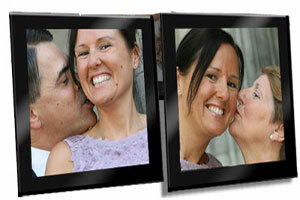 Photo Table mats :: Enhance your table with these stunning shatter proof durable glass table mats. 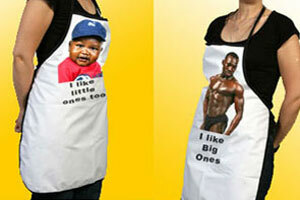 Photos on Aprons :: Brighten up your kitchen with these quality personalised photo aprons made from pure cotton. 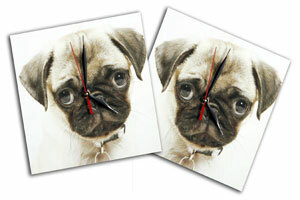 Photos on Clocks :: Custom Clocks with your digital photos or design make fantastic gifts. 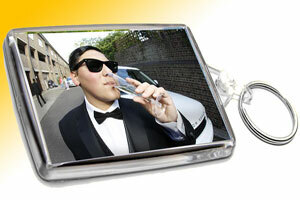 Show someone you care with a unique and personalised photo fridge magnet. 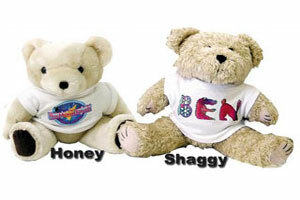 Send us two photo and we will put them inside a personalised keyring for you.